Cocoa comes from the dried and fully fermented fatty seed of the Theobroma cacao. Cocoa solids and cocoa butter are extracted from the seed of the plant. Aside from chocolate, cocoa is also used in many Mesoamerican foods such as mole sauce and tejate. Chocolate is one of the most popular food in the human diet today. A person on the average, consumes ten pounds of it in one year. Aside from the satisfaction one gets from eating chocolate, it also has health benefits. Chocolate contains a category of flavonoids called flavanols. Mars, Incorporated, working in partnership with AOAC International, has successfully completed a multi-laboratory, first-of-its-kind validation of a method for analyzing flavanols and procyanidins in cocoa-based products. The study, just published in the latest edition of the Journal of AOAC International, details the results of a comprehensive evaluation of this method by 12 international laboratories, which included academic, industrial and commercial institutions. As it has been proved to be reproducible, robust, and readily transferable, this method could have far-reaching implications for researchers and consumers. "This multi-laboratory collaborative study represents a critical breakthrough in the field by demonstrating that a method to measure these complex phytonutrients in cocoa can be reliable, robust, and easy-to-use," said Dr. Catherine Kwik-Uribe, study author and R&D Director at Mars Botanical. "Excitingly, in the not too distant future, this could lead to more uniform numbers on product labels that will help consumers compare and contrast flavanol-containing products, and help regulators evaluate claims." Flavanols are a group of natural compounds that are particularly abundant in cocoa. Over the past decade, there has been growing interest in the potential cardiovascular and cognitive health benefits of flavanol and procyanidin-containing foods. For example, in July this year, the European Food Safety Authority (EFSA) issued a positive Scientific Opinion on the health benefits of cocoa flavanols and procyanidins related to healthy blood flow. Though these phytonutrients are of great scientific and consumer interest, until now there has been no common, validated approach to the analysis of these compounds in foods. As a result, different laboratories and companies have used different methods to report content. This has resulted in considerable variability and confusion in reported values, and scientists, regulators, and consumers lack clear and relevant information. Moreover, the lack of an agreed method of analysis has left the field plagued by a variety of non-specific methods that provide no details about the types and mixtures of flavanols and procyanidins in foods, and typically overestimate the true levels of these compounds in foods, including cocoa products. Recognition of the limitations of these non-specific methods for reporting the content of phytonutrients has recently been highlighted by the USDA, which removed the USDA Oxygen Radical Absorbance Capacity (ORAC) Database for Selected Foods from its Nutrient Data Laboratory website. This was a result of mounting evidence indicating that measurements of "antioxidant capacity" have no relevance to human health, particularly as it relates to the benefits of specific phytonutrients. 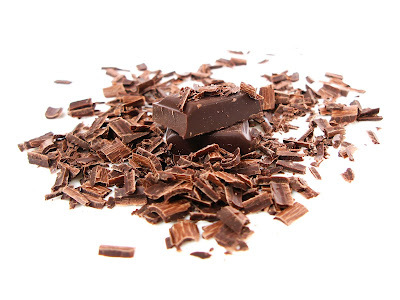 The availability of a new, properly-validated and standardized method that provides specific compositional information on the types and mixtures of flavanols and procyanidins in cocoa and chocolate products is therefore an important step. Such a method will be crucial to establishing a causal relationship between the intake of the specific phytonutrients and their health benefits. To address this, Mars, Incorporated initiated and led a collaborative study with AOAC International, a not-for-profit scientific association that assists in the validation of analytical methods worldwide. To validate the method at the various laboratories, scientists at Mars distributed 14 samples representing a variety of cocoa-containing products and ingredients with flavanol and procyanidin concentrations ranging from < 2 mg/g to 500 mg/g. These products included milk and dark chocolates, cocoa powders, cocoa liquors, and cocoa extracts. Using a liquid chromatographic method developed by Mars, published in 2009(1) and since improved, each lab tested all samples in duplicate for flavanols and procyanidins, and reported results. Subsequent evaluation of inter-laboratory performance showed each laboratory reported statistically consistent results, with variance ranging only between 4-10% for the samples. Reproducibility, a measure of the comparability of inter-laboratory performance, was strong, with less than 13% variance demonstrated for most samples. The method is the culmination of a decade of work and represents the first multi-laboratory validated method for analyzing flavanols and procyanidins in cocoa. "Mars initiated its flavanol research program in the late 1980s and since then has developed significant expertise in the analysis of cocoa, which has been key to the program's success. Robust analytical methods such as the one just published enable the link between understanding the flavanol compounds in cocoa and the important benefits these components can have on our health. Without the proper analytical tools, this would be impossible," commented Harold Schmitz, Executive Director of the Mars Center for Cocoa Health Science.